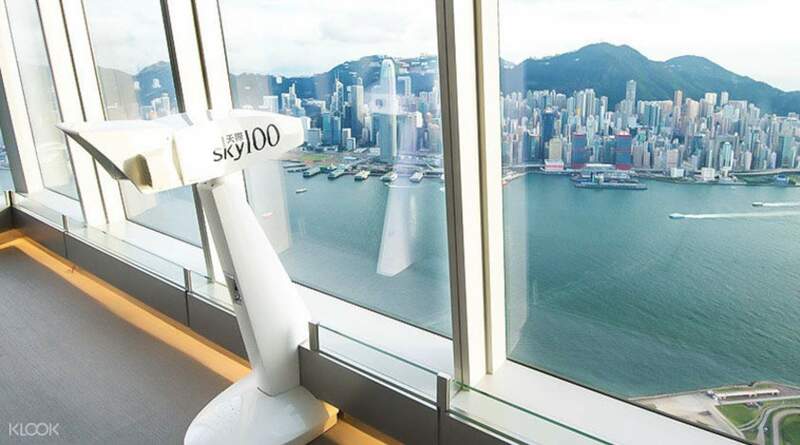 Get an iVenture Card to access Hong Kong and Macau's leading attractions including Sky100 Observation Deck, Ngong Ping 360, Ocean Park, Noah's Ark, Macau Tower and many more! Is the Hong Kong and Macau Attraction Pass worth it? See Klook's review on the IVenture Card Hong Kong to know! The best attraction pass ever! You’ll never regret if you take this package too for a 5-day tour in Hong Kong. Access a number of Macau and Hong Kong sights and attractions – cash-free! The iVenture Card Hong Kong grants you entry to attractions such as Ocean Park, Ngong Ping 360, Macau Tower and a cruise on Victoria Harbour on a single pass. Customize your own itinerary to suit your interests and schedule. The iVenture Pass comes with easy reference guides that map out what to do and see in Hong Kong and Macau, as well as access to big savings and other special offers. It's the easiest way to enjoy a fun and memorable trip to the iconic landmarks! 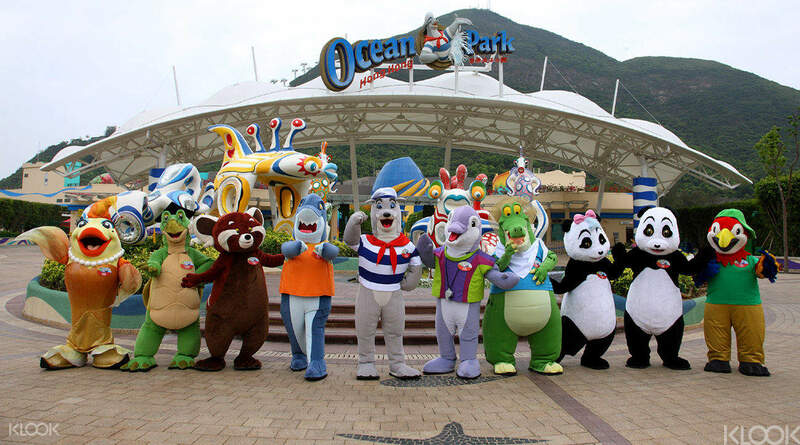 Get your iVenture Hong Kong and Macau Attractions Pass on Klook to enjoy additional discounts. Visit several popular tourist destinations for a much cheaper price! Jumbo Kingdom HKD100 Coupon (address: Hong Kong Island Aberdeen Wong Chuk Hang Deep Bay, Hong Kong). For dine-in food and beverage consumption over HKD 800 or above. The iPass is the electronic version of iVenture card. You can present your iPass on your mobile phone to redeem your benefits. This made our HK-Macau trip easier and cheaper! Thank you Iventure! It was just so unfortunate that we were not able to maximize all of the activities included in the card. Nonetheless this card is worth it! This made our HK-Macau trip easier and cheaper! Thank you Iventure! It was just so unfortunate that we were not able to maximize all of the activities included in the card. Nonetheless this card is worth it! Iventure card is MUST have when planning to go to HK and Macau. Its hassle free and you can save a lot of money an time (No need to fall in line). You just need to plan everything to maximize it and know the location where to pick the ticket specially the peak tram. The sad part was when we went ther NP360 cable car was under maintenance. 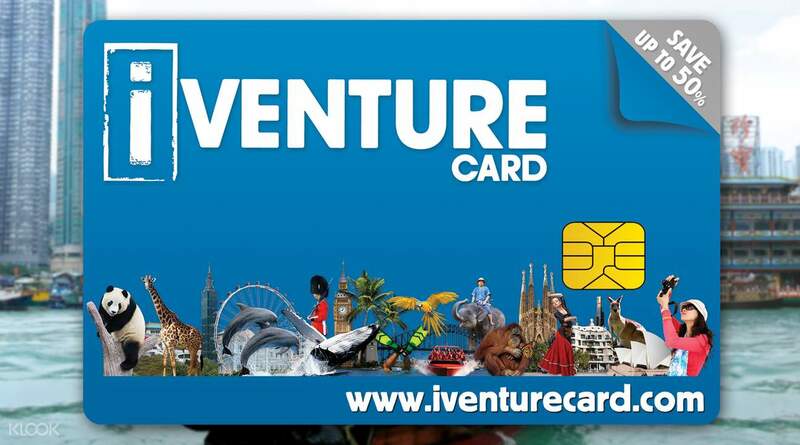 Iventure card is MUST have when planning to go to HK and Macau. Its hassle free and you can save a lot of money an time (No need to fall in line). You just need to plan everything to maximize it and know the location where to pick the ticket specially the peak tram. The sad part was when we went ther NP360 cable car was under maintenance. Definitely worth it! We got the 3 day pass and were a ble to visit a couple of places and avail of the City Tour. Tip: just make sure you do advanced reservation and show up on time. Got to try the Watertours and really enjoyed the view during the cruise! Definitely worth it! We got the 3 day pass and were a ble to visit a couple of places and avail of the City Tour. Tip: just make sure you do advanced reservation and show up on time. Got to try the Watertours and really enjoyed the view during the cruise! 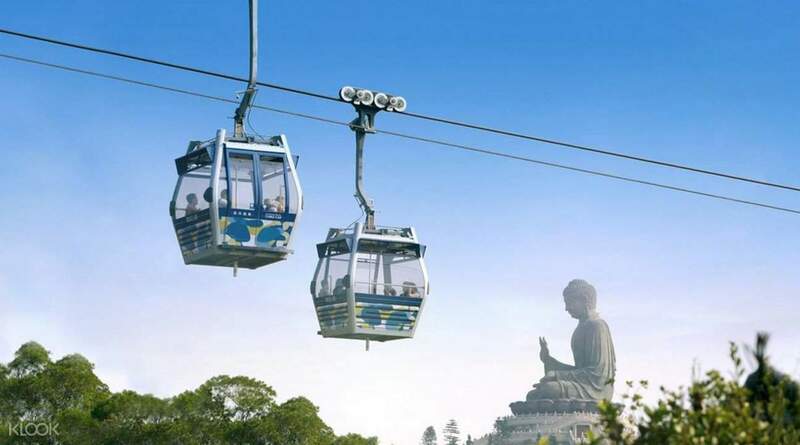 We were able to redemmed most of the activities which includes ocean park, Rickshaw Sightseeing Bus, Ngong Pin 360, Sky 100, vR Experience, Victoria Harbour Cruise, Peak Tram and TKW Macau Tour. We saved alot of money from this tour though its really tiring. 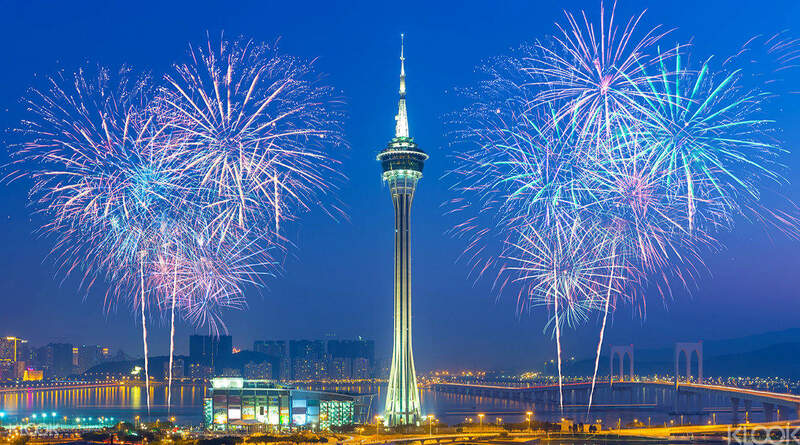 We were able to redemmed most of the activities which includes ocean park, Rickshaw Sightseeing Bus, Ngong Pin 360, Sky 100, vR Experience, Victoria Harbour Cruise, Peak Tram and TKW Macau Tour. We saved alot of money from this tour though its really tiring. Buying iventure card from Klook was one of the best deals for a Leisure trip to Hong Kong and Macau. All tickets were easily redeemed, need to just follow the instructions as given in the iventure and Klook website. Had a great time with family. I will go for Klook next time where are it's available. Highly recommended. Thanks KLOOK for the best price also. Buying iventure card from Klook was one of the best deals for a Leisure trip to Hong Kong and Macau. All tickets were easily redeemed, need to just follow the instructions as given in the iventure and Klook website. Had a great time with family. I will go for Klook next time where are it's available. Highly recommended. Thanks KLOOK for the best price also. During our 4 days of being in HKG, we availed the 3 day pass of our IVenture card and I was so satisfied with everything that it has to offer. It was a very good value for our money, since we got to choose which attraction to go to and we created our own itinerary based on our own time. We had so much fun most especially at Oceanpark, TKW Macau Tour and the symphony of lights pre-dinner cruise. I was so glad that we've upgraded it from pre-dinner sunset cruise to the symphony of lights pre-dinner cruise (you just need to add 40HKD up front. The boat sails at 7:15PM) because we we're able to witness the beauty of hkg's city lights just in front of us without any distractions. Overall, I would recommend this to anyone who's planning to tour hkg and macau. This card is holding up to it's excellent reviews and it's totally worth it's price. During our 4 days of being in HKG, we availed the 3 day pass of our IVenture card and I was so satisfied with everything that it has to offer. It was a very good value for our money, since we got to choose which attraction to go to and we created our own itinerary based on our own time. We had so much fun most especially at Oceanpark, TKW Macau Tour and the symphony of lights pre-dinner cruise. I was so glad that we've upgraded it from pre-dinner sunset cruise to the symphony of lights pre-dinner cruise (you just need to add 40HKD up front. The boat sails at 7:15PM) because we we're able to witness the beauty of hkg's city lights just in front of us without any distractions. Overall, I would recommend this to anyone who's planning to tour hkg and macau. This card is holding up to it's excellent reviews and it's totally worth it's price. this is a must buy if you're a first timer in HK and you wanna get to experience everything it has to offer. unfortunately the cable car was not available during our visit but you still get your money's worth with the other attractions or activities. redemption was a breeze and using the card to avail passes just as easy. this is a must buy if you're a first timer in HK and you wanna get to experience everything it has to offer. unfortunately the cable car was not available during our visit but you still get your money's worth with the other attractions or activities. redemption was a breeze and using the card to avail passes just as easy. Great value for your money! You really have to plan your days well to be able to avail most of the activities as quite a few of themrequire booking in advance. The only downside would be having to pick up some tickets from different locations. Other than that, it's very easy to use and would highly recommend! Great value for your money! You really have to plan your days well to be able to avail most of the activities as quite a few of themrequire booking in advance. The only downside would be having to pick up some tickets from different locations. Other than that, it's very easy to use and would highly recommend! Worth the purchase! Some attractions need prior bookings but no hassle at all since they respond quickly. You can still use even without the physical card, just show the iventure qr code, screenshot will do (ipass from iventure website itself). Worth the purchase! Some attractions need prior bookings but no hassle at all since they respond quickly. You can still use even without the physical card, just show the iventure qr code, screenshot will do (ipass from iventure website itself).